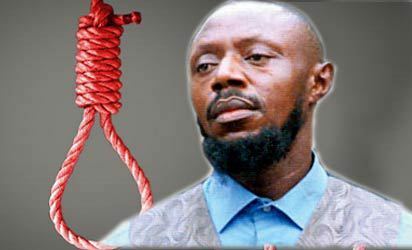 Nigerian Youths for Christ, has appealed to President Muhammadu Buhari and Lagos State Governor Akiwunmi Ambode, to commute the death sentence passed on the founder and General Overseer of Christian Praying Assembly, Rev. Chukwuemeka Ezeugo, a.k.a Rev. King. The youths, who rose from an emergency meeting in Calabar, Cross Rivers State, said their call was based on the biblical injunction on giving an offender an opportunity to repent. They contended that in spite of complaints of irregularities and denials by the police during the course of investigating the case, Rev. King had gone through traumatic ordeals that must have made him to repent and turn a new leaf. “It is on record that until his conviction by different courts of our land, Rev. King maintained a studied position of not guilty. From all indications, members of the public had already passed death sentence on him without considering whether he was guilty or not. It is, therefore, our considered opinion that in those years he was made to pass through the judicial processes, he must have communed with his God and punishment for sinners only lies in the hands of our creator who knows all about the affairs of men”, the youths said. “Moreover, we should take cognisance of the well known lapses in our judicial process and even at that, many developed countries of the world are shying away from outright condemnation of suspects to death and Nigeria should not be an exception. Our position in this matter should not be misconstrued as bordering on dogmatism. It is a prayer for forgiveness based on the facts surrounding the case”.